Are Republicans about to nominate a Democrat for the Senate in Indiana? One of the top candidates in Indiana's GOP primary is labeled in the Republican National Committee's voter files as a "hard Democrat." Mike Braun is an Indiana businessman and former state representative who is seen by operatives in both parties as the front-runner headed into Tuesday's Republican primary to determine who takes on Democratic Sen. Joe Donnelly in November. He has described himself as a lifelong conservative, but his opponents, Reps. Todd Rokita and Luke Messer, have howled for weeks that Braun's voting history suggests he was a Democrat -- at least until the 2012 election. According to three sources with access to the RNC's voter data, two of whom sent screenshots, Braun is listed as a "hard Democrat" by the party. In the RNC's private trove of voter data, scores from one through five are assigned to individual voters to assess how likely they are to back GOP candidate. A score of one means your voting history suggests you're a reliable Republican, something in between suggests GOP candidates will have to court you, and a five, Braun's score, means the party sees you as a "hard Democrat" -- someone it couldn't possibly win over. A spokesperson for the RNC did not return a request for comment. A search of the Center for Responsive Politics' donor database shows no contributions to Republican or Democratic candidates by Braun. And his campaign did not directly respond to CNN's inquiry about whether the man now spending nearly $6 million of his own money in the GOP primary has ever donated to Republican candidates, attended Lincoln Day dinners or otherwise been involved in GOP politics prior to his election to the Indiana House of Representatives in 2014 and then again in 2016. Spokesman Joshua Kelley only said that Braun is a "lifelong Republican, saying otherwise is just more lies from his failing opponents and their losing campaigns." The 64-year-old Braun says he voted in Democratic primaries in order to have a say in the politics of Dubois County -- part of a region in southwestern Indiana that historically elected Democrats to local office despite its conservative politics and Republican lean in national elections. "I was not calculating what I was doing back then to become a politician. I've done that out of frustration with what happens in DC," Braun said in an interview this week at a diner in northwestern Indianapolis. "My wife and I were lifelong conservatives and Republicans living in a county that was, you know, completely Democratic in all the offices. So if you wanted to weigh in on your local and county elections, anybody that was a Republican there mostly voted in the Democratic" primary. "In southern Indiana, that was just the dynamic," Braun added. "I'm proud to say in '16, due to some of us sticking our neck out and running, we swept every contested race as Republicans. We won them all. So now the county has flipped." Braun asserted in the interview that he is more conservative than Rokita and Messer. Indiana has open primaries, but the state also has laws on the books intended to limit participation in a party's primary to those who generally vote for its candidates. However, there's no history of such laws being enforced. Under Indiana code, voters are eligible to vote in a party's primary "if the voter, at the last general election, voted for a majority of the regular nominees of the political party holding the primary election," or "if the voter did not vote at the last general election, but intends to vote at the next general election for a majority of the regular nominees of the political party holding the primary election." Braun's voting record shows Braun took a Democratic ballot in some of the highest-profile primary battles the party has had in Indiana in recent decades -- and skipped the most hotly contested GOP statewide races. Braun voted in the Democratic primaries in 1992, 1996, 1998, 2004, 2006 and 2008 -- which were largely solidly Democratic election years. He skipped the primary in 1994, 2000, 2002 and 2010 -- all strong Republican years. That means Braun skipped some of Indiana's most competitive Republican primaries in recent years -- including Mitch Daniels' bid for the governorship in 2004 and, in 2010, both Sen. Dan Coats' run against state Sen. Marlin Stutzman and three others to regain his seat and now-Sen. Todd Young's narrow win in the 9th District House primary. He first voted in a GOP primary in 2012, when Sen. Richard Lugar was ousted by tea party candidate Richard Mourdock. That 2012 GOP primary vote was important: Under Indiana law, candidates are required to have voted in their party's previous primary or get special permission from county chairmen. Voting in the 2012 Republican primary qualified Braun to run for the state legislature as a Republican in 2014. Braun's history matches Dubois County's. The turnout for Democratic primaries often doubled or even tripled the GOP turnout until 2012. Since then, more voters have grabbed Republican primary ballots. Janet Schuler-Hicks, the GOP chairwoman in Daviess County -- which neighbors Braun's Dubois County and is in his former state House district -- said she's known Braun as a conservative for 12 to 15 years, prior to his involvement in politics. She explained his voting history as a quirk of politics in southern Indiana. "Most of the time, the Republicans weren't fielding candidates. So if you were going to have a voice in who was going to be your county sheriff or your prosecutor, you would have to vote in the Democrat primary," she said of Dubois County. Daviess County, she said, has been the reverse. "Democrats literally have no one on the ballot and they probably won't have anyone on the ballot in the fall," she said. "So if you're a Democrat here in Daviess County, you go and pull a Republican ballot." Braun's GOP opponents have questioned his claims that he skipped the major Democratic races like the 2008 battle between Obama and Clinton. Six former Indiana GOP party chairs who are supporting Messer, including two who had the job during the Mike Pence and Mitch Daniels governorships and one former top President George W. Bush economic aide, said in a letter Saturday that Braun's claim he only voted in Democratic primaries to sway local races is "just not believable." "Mike Braun passed on the opportunity to support President Reagan, both Presidents Bush, Senator Coats, Governor Daniels, and so many other Republican congressional, statewide and state legislative leaders," they wrote. 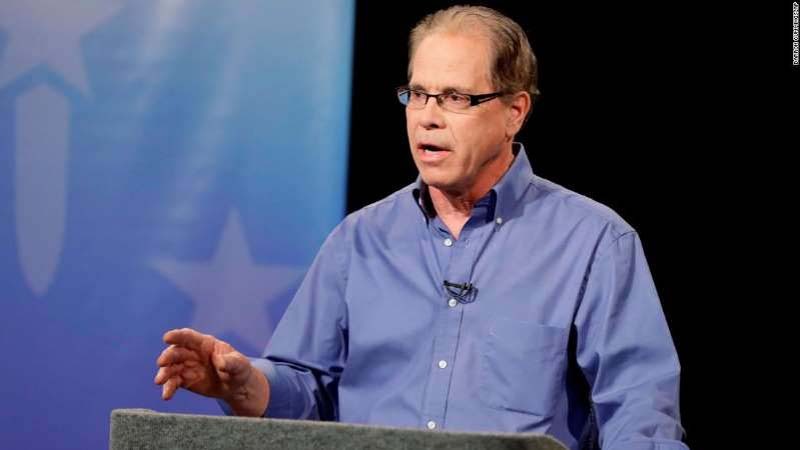 "Mike Braun was even voting Democrat through the Tea Party launch in 2010!" But Braun has steadfastly insisted he only voted in the down-ballot races. "I never voted for a Democrat at the state or national level," Braun said in the fourth and final GOP primary debate Monday night. "We did it solely to weigh in on our local races." Politics - U.S. Daily News: Are Republicans about to nominate a Democrat for the Senate in Indiana?